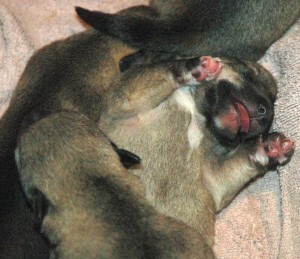 Almost all Vallhunds will sleep in the “roadkill” (or “dead bug”) position at least sometimes. Nina has decided that nursing her babies in this position allows for the greatest possible combination of comfort (hers) and access (theirs). Thanks to Jim for the pictures. 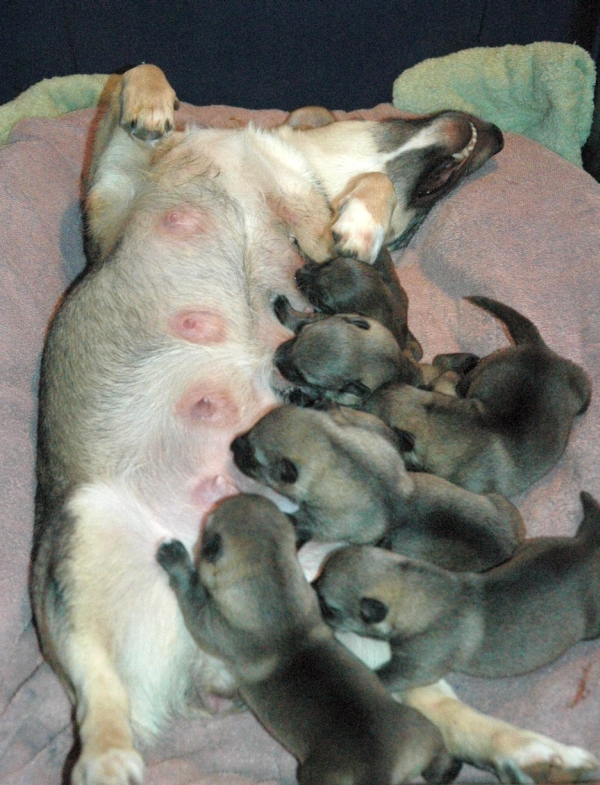 This entry was posted on Tuesday, January 19th, 2010 at 10:24 PM	and is filed under Nina, breeding, dogs, puppies, vallhunds. You can follow any responses to this entry through the RSS 2.0 feed. You can leave a response, or trackback from your own site.